Please note: This is not an Amey scheme. This story is being carried as information from Scottish Borders Council. 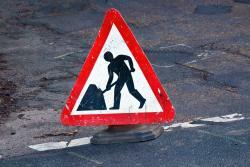 A section of the A7 road will be closed overnight for improvements this month. The Torsonce corner south of Stow will be improved as part of a £3.8million programme of surface treatment to the Borders’ road network in 2017/18. The closure runs from Sunday 21 to Friday 26 May, starting from 8pm to 6am each night. The official diversion route is via the A68, while there will be no X95 bus service between Fountainhall and Galashiels during the closure times. A bus diversion route will allow the X95 to go via Gilston and the A68/A6091 to Galashiels during the closure, which will only affect three journeys per night. “The Council has carried out improvements to the A7 road at Falahill, Crookston and the Heriot bends in the last year, and these works at Torsonce will improve the route further for commuters. A map of the closure and diversion route is available at our Flickr page. We are responsible for the northern stretch of the A7 road from Kingsknowes Roundabout at Galashiels to the Midlothian boundary. Transport Scotland is responsible for the A7 south of the Kingsknowes Roundabout.